If you missed my earlier post I hope you will take a look before you leave this site. It relates specifically to today, and refers to someone I love. There’s more to this post below than at first meets the eye, too – so don’t forget to scroll right down too. This week’s Photo Challenge is ‘Room’. If the family see this they will laugh raucously, I’m sure, because I never have enough. I can fill a space before it is vacated! However, the one place I always ensure that I leave PLENTY of room is in the dyebath! 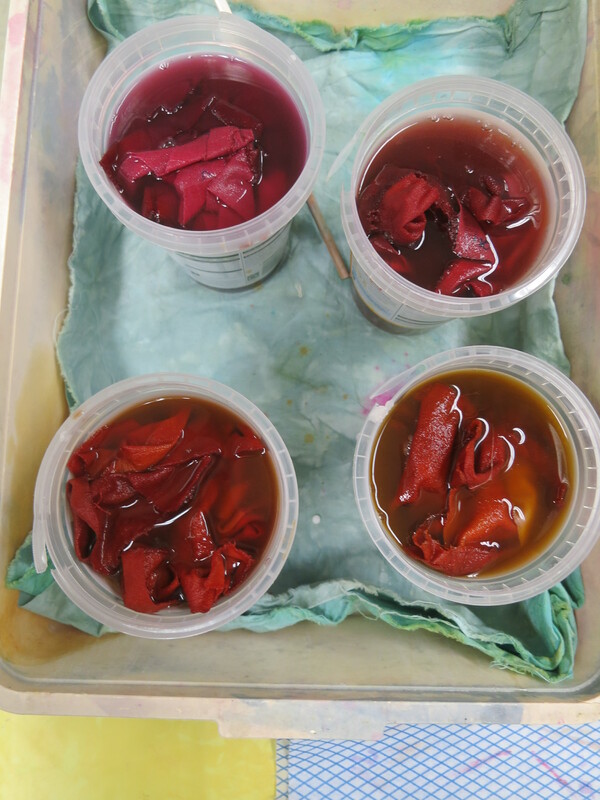 Incidently, if anyone is near South Wales and is interested in learning a little about dyeing, I’m teaching a day workshop on 14th June at Busy Bees Patchwork in Newport. There are a couple of places left, if you are interested email Busy Bees directly for details. 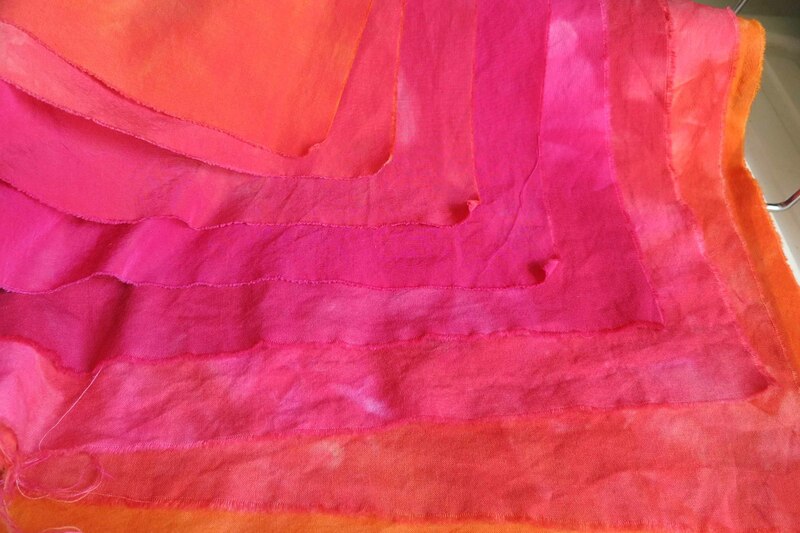 It’s very good value and, apart from having fun, you will learn that it’s simple and logical to create colour on fabric. Myfanwy do you sell your dyed fabric? Do you do felt? I have a long list of want to do projects in which I will need to buy certain things, not right now but later perhaps. Love the colours you made. Thanks, Mandie, yes to both questions. Message me on FB. Those colors are gorgeous! How I wish I lived near to take your class! Awesome colors. I remember as a child growing up in poverty when clothing got old, but not too worn my mom would dye it and it would be all new again. Thanks for the fling back! 🙂 Goodness gracious, I haven’t thought of that in years. Next Post If you think I’m going out in that…. !